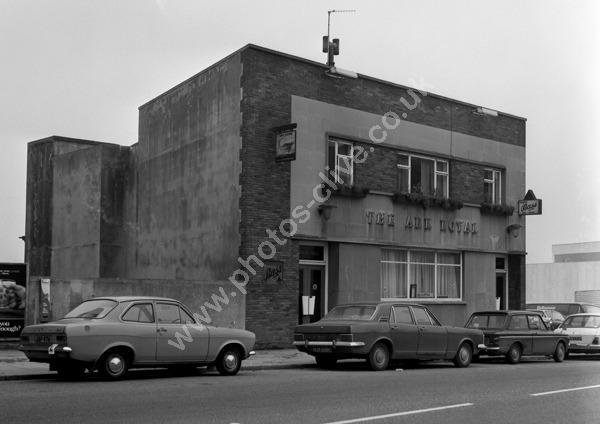 Clive Thompson LRPS Photography: Ark Royal, Fore Street, Plymouth around 1974 later converted to 2 dwellings. Ark Royal, Fore Street, Plymouth around 1974 later converted to 2 dwellings. Ark Royal public house (now converted into flats) in 7 Fore Street, Plymouth Devon in around 1974. For commercial use of this photograph please visit www.alamy.com and search for A8FMF1 but for a one off print, please see below.